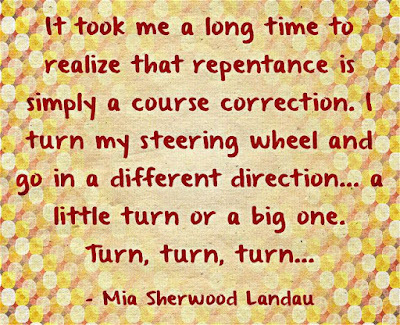 Understanding repentence as a course correction changes my prayers, which changes my life. Turns out, it's not an embarrassing thing after all. Life can be a bumpy ride, and we only make it through if we learn stay on course, weathering all the road blocks, dips, hills and traffic. Thank you for setting my course for me, Lord, and helping me steer a steady course on my trip of a lifetime. I do not take the freedom to pray and to worship God for granted. It is a precious privilege in this world, and I treasure it. It's like voting. We can exercise our right to vote, or not. The consequences of our votes matter. We can exercise our right to pray, or not, and the consequences of our prayers matter. 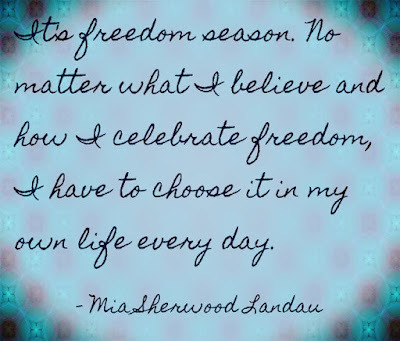 My prayers are an important exercise of my freedom today! Getting closer to each other, as caring human beings, is futile without God's help. This idea is politically charged these days. May the people and the cultures who reject God receive God's help in this world now, too. Thank you for helping me speak out for unity through you, Lord, our genuine hope and our true salvation. 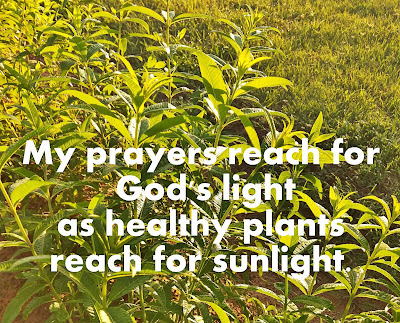 Reaching up, I touch the light of God's love in a tangible way. Whether it gives me a memorable feeling or not, I touch God's love whenever I reach for it. Remembering to reach for the light of God's love is my responsibility. Providing the love is God's job, not mine. All the real love I have to share comes from the light of God's love. 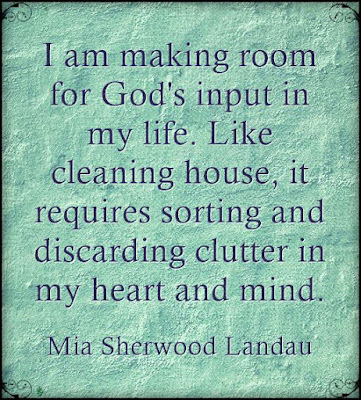 Oh, Lord, the clutter in my life is NOTHING compared to the clutter in my heart and mind. I must want to clean house, on the inside and outside. I must want to let go of everything in my way now. What is the worst thing that can happen if I let go? Knowing confidence is more robust than believing in confidence. 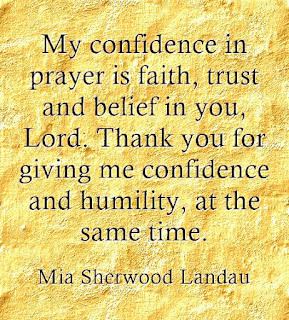 I stand firm in my confidence in you, Lord. My confidence in God is the strong foundation of my confidence in myself and my purpose in this life. May I always have the humility to stand on my confidence in you first, Lord. Wanting to control how life is unfolding around me is an unquenchable desire without God's help. 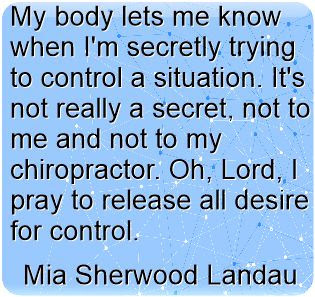 My chronic desire to control things and people around me takes a toll on my mind, my heart and my body. The effects of my attemps to control are more obvious to other people than to me. Thank you for helping me see and cease my desire to control, Lord. I long to consciously find God everywhere, without distraction. To me, that's the ultimate absence of idolatry. Getting to the place where I can see everything (and everyone) as God's creation, and letting go of my constant desire for things (and people) to be different, is my life's goal. Thank you for helping me find you everywhere today, Lord! It's so easy to become overwhelmed by my challenges, or get distracted by trying to avoid them or change them. My challenges are my opportunities as my soul's best opportunity to grow, just as they have always been for my people, for all people, for all time. 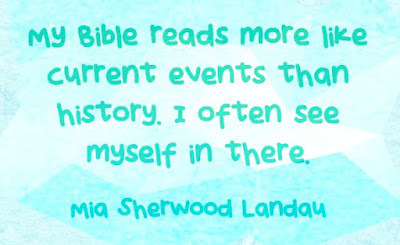 It's a privilege to read words written by the holy and wise ones who composed ancient prayers, psalms and stories. 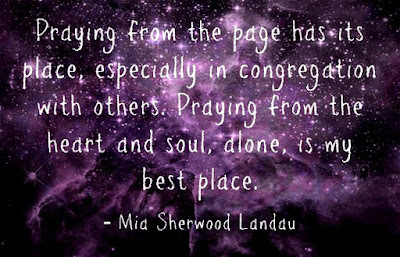 It connects me with my people, through the centuries, including those who will read together when I am no longer here. Praying from my own heart and soul is what I do while I am here. I pray here now. It's true! I believe the Most High God, Creator of the Universe is interested in me, and that he truly longs to hear from me. God made me. He likes to hear my voice. That's how I describe it because it's my experience with my own children. Although God is not a human being, I am. So, I use human analogies to express myself, for my own understanding. Good, better, best. 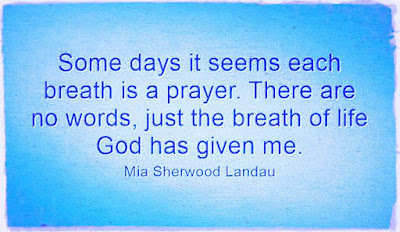 Each description of my words works in prayer. I am not competing with anybody or trying to prove anything in this world when I pray. 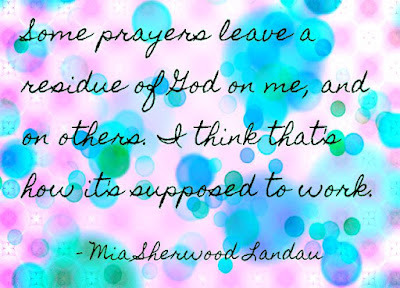 Most of the time, my prayers are not for public consumption, so people-pleasing is not an issue. I grow from hearing myself pray out loud. I learn and I grow in a universal, cosmic way. To me, that's indicative of my soul enlarging for God's purposes. Having the capacity to know more doesn't mean my soul isn't already perfect. I believe it is. But its perfection can expand. Its capacity to hold what God gives me in this life becomes larger and more serviceable, which is what allows me to be of greater service. I long to be of service. Praying in my own words requires my full attention. No multi-tasking when speaking personally to the Most High God. It's easy to become distracted of course, but God knows that. He made us and he knows most of us are like a dog when it spots a squirrel. The chase is on, whether the distraction is our phone or another person. 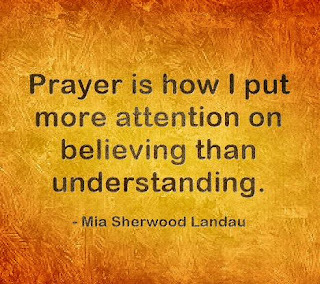 Believing in my prayers helps me focus deeply and avoid distraction. That's all I understand. Nobody taught me that God wants me to believe in him more than I understand him. Not really. But it's pretty obvious when you think about it. Nobody understands God. Some teachers purport to understand God's ways, and spend a long time talking about it. All I know for sure is that I want God to make himself known to me, personally. 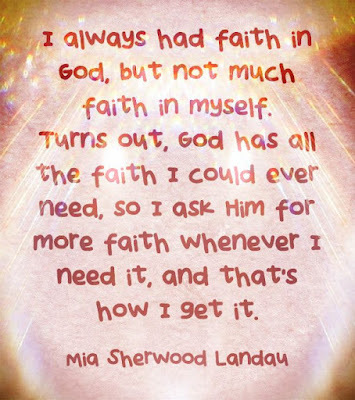 I believe in God and I have faith in God communicating directly with me, at his own times and in his own ways. 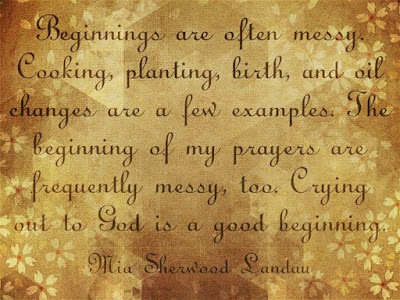 Every day, even several times a day, my prayers may have messy beginnings. 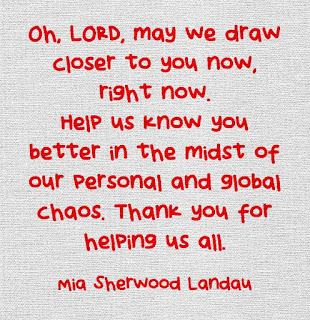 Sometimes my prayers are neat and clever, but mostly they are messy and emotional. And they often involve crying real tears. Some say all our prayerful tears are collected in Heaven, like a precious harvest. I like to picture that. It gives me courage to just start praying out loud, no matter how messy I may sound. What a privilege to have the freedom and the opportunity to pray from my soul! The main thing is to remember to do it at least daily, ideally many times a day. A prayful thought is good, but a genuine prayer expressed with my lips, so that I can hear it spoken, is the best. 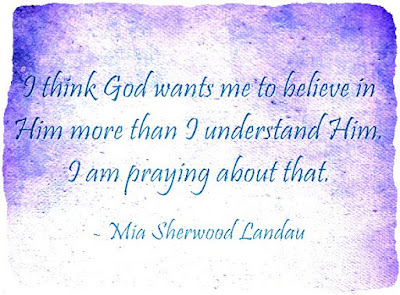 I always know God hears me, but I need to hear me, too! This Cinco De Mayo rose bush grows in my garden. I look at it, at the lovely colors, changing as the bud unfolds, and I think of us all. We change as we unfold and grow, like a rose blossom. Sometimes we're at our loveliest in maturity, just before the petals drop. It's not a sad thing, it's life. Life is our precious opportunity to pray. 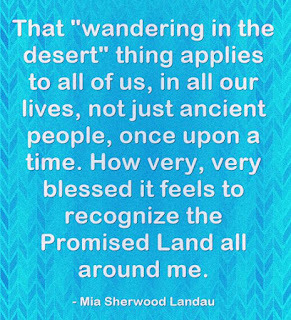 The Promised Land is a mindset, a choice to see the world as a unique blessing. 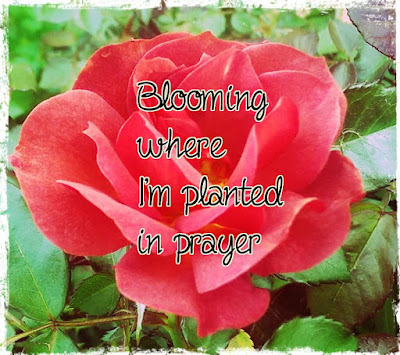 My favorite way to say it is, "Bloom where you are planted." It's like a mantra for me. Going around and around the mountain for 40 years... there are things in my life like that. How quickly we learn to expect luxuries. 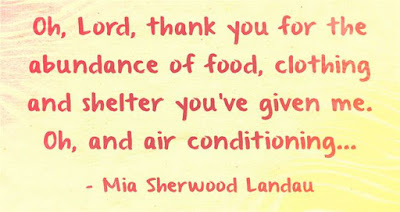 My parents and grandparents had no expectation of air conditioning in their homes, vehicles or workplaces. But I absolutely expect it, and feel as though somebody sucked all the oxygen out of the atmosphere if the A/C is not functioning. I'm not proud of this sense of entitlement, but I'm admitting it, to God and to myself. Not having the eyes to see into the future, which is undoubtedly a blessing, judging myself and others is futile. It's such a habit, a pitiful hobby we all seem to enjoy, but it's just silly. We can't see any situation the way God sees it, so our judgment is always limited, at best. It may very well be completely wrong. I know it's not polite to cross my arms and tap my toes, waiting for God to respond to my prayers. No, that's not appropriate. But, once in a while I have the great privilege of seeing and/or hearing something ring like a tiny bell inside me. Ding! I prayed about that! This little bell ringing is a gift, right now, this moment, and I don't want to miss such a precious heads-up. The person I was while praying yesterday is not the person I am while praying today. 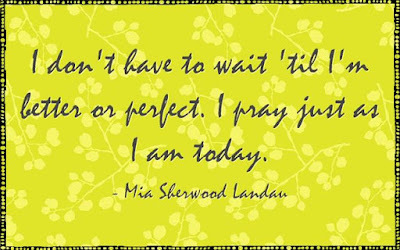 The Today Me has never prayed before, and I am eager for her to express herself! 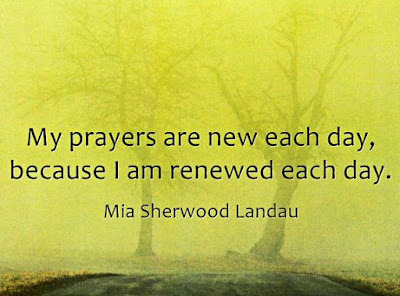 My prayers are ever new. And they are spontaneous, so they surprise me. 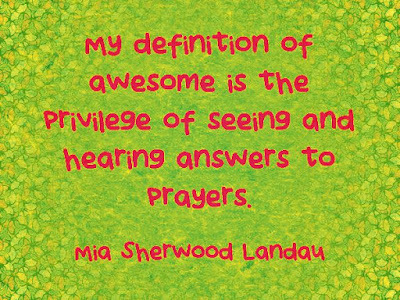 In many ways, I learn more about myself each day when hearing myself pray out loud. 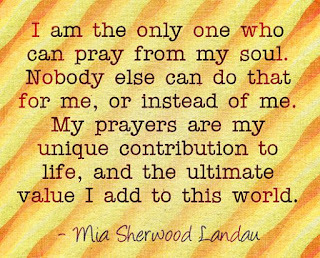 Praying out loud is necessary for my personal growth. 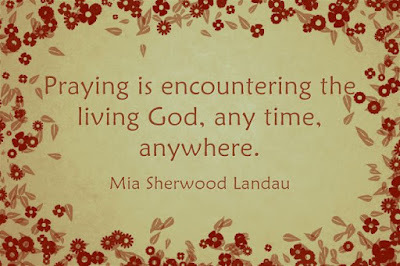 Praying out loud is how I get to know God as I get to know myself. Conception is the beginning of the beginning. 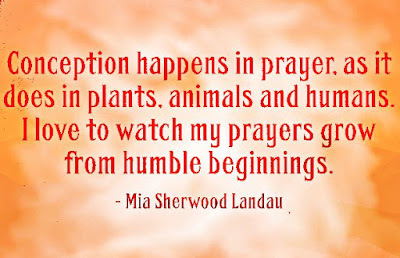 The conception of my prayers is where the life of them begins. Oh, Lord, please give me the miracle of birth of healthy prayers that grow into productivity that glorifies your Holy Name through me. New beginnings in prayer are fragile, like tiny new sprouts or hatchlings. But we can stick with them and watch our prayers and our answers to prayers develop. There's no right or wrong way to do conceive our prayers, in my opinion. It's a very personal experiment of my own, and yours is your own. The "residue of God" is a feeling, a sense of heightened awareness. That's what I mean. It's not easy to explain, but undeniable when experienced. 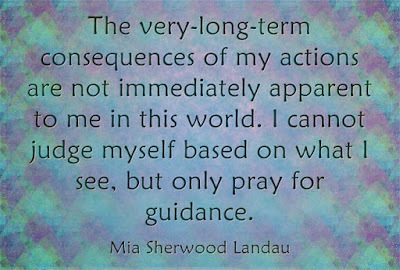 This experience is not the goal, nor is understanding the goal, at least in my opinion. To me, faith is the goal. Faith in God and faith in my connection to God, at all times. What an exciting reality! 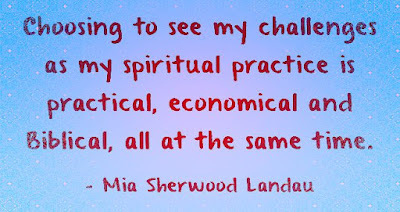 I am a unique, useful pipline for spiritual energy whenever I pray. 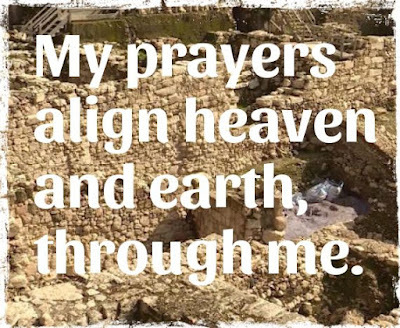 No matter how incomprehensible or impossible it sounds, I connect heaven and earth with the sound of my prayers, the words, the songs and even the tears. Belief is a choice, while understanding is something I may or may not have, or be able to acquire. I can't simply go to the store and buy it. Understanding is much more elusive. It seems to appear on its own, as a result of spiritual growth or as a precious gift. Belief in God is a choice I can control. I like that. I like being able to control something about God. My belief is the ONLY thing I can control about God, so it's good to exercise my choice to believe. Understanding of God is something I desire. I want it and I work, in my own ways, to achieve it. 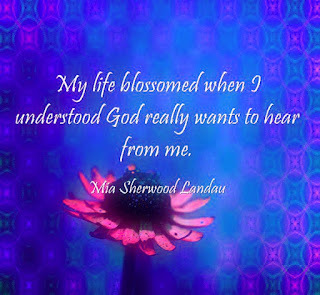 Listening to other people talk and to my own intuition, a knowledge and understanding of God is building inside me. But, understanding God is not really the goal, because it's a by-product of prayer and of life; it comes about through experience more than knowledge.